There's a great injustice going on and you probably don't even know it. Snowpiercer, the English-language debut of celebrated South Korean filmmaker Bong Joon-ho, is coming to theaters this Friday, but it's getting nowhere near the fanfare it deserves. Tomorrow we'll post our review of this post-apocalyptic thriller, which stars Chris Evans, Jamie Bell, John Hurt, and Tilda Swinton. 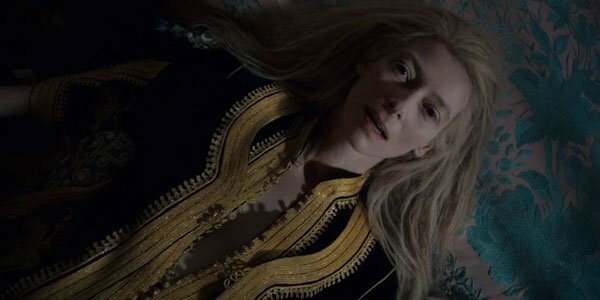 But today, we're giving you a look into its weird and fascinating world with this clip in which Swinton's seething villainess lays out the laws of the titular train. Vulture sets the stage for this fantastic and unusual feature with the above clip. In it, Mason (Tilda Swinton) is lecturing the unruly ranks of the Snowpiercer's tail section. See, this train is stacked to the ceilings with the last remaining scraps of mankind. After a massive ice age swept over the world, these survivors boarded Snowpiercer, a long, long train meant to run infinitely and cater to man's every need. However, those who could pay for the most expensive tickets got the best accommodations at the head of the train, where luxury and privacy is not a forgotten concept 18 years later. But those who weren't wealthy got pitched in the train's tail, where food and space are hard to come by. Naturally, rebellion brews, but none of it appreciated by Mason. Having seen the film twice now, I can confidently say this is an excellent introduction to its world. This clip teases the class conflict, and its source--essentially that the haves believe they deserve the best, and further believe the have-nots should be happy to even get the scraps. 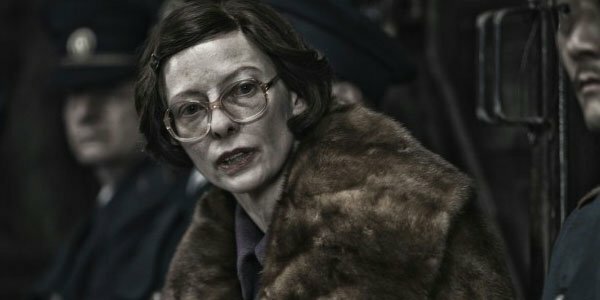 But more importantly it gives you a hint to the kinds of wild characters who inhabit Snowpiercer, chief among them Swinton's. And lastly, here she is as proud first-class passenger and separatist Mason in Bong Joon-Ho's Snowpiercer. 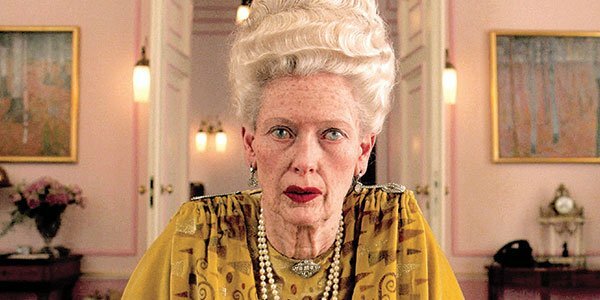 I kid you not when I say that Swinton's chameleon-like and quirky performance in Snowpiercer alone is worth the price of admission. But trust me, there's so much more to this chilly and chilling thriller. Snowpiercer opens in limited release this Friday, June 27th.